Professionally designed, mobile-friendly websites you can easily update as often as you like with your own admin area (CMS). Customised web design, tailor-made to your requirements. Whether it's a brand new site or a redesign, get in touch for a chat and free quote. No need for multiple companies; we can take care of everything from start to finish. Domain name, web design and development, hosting, emails, design & setup of social networking, visitor analytics software, SEO, and ongoing support. We offer a graphic design service from initial concept to printed items delivered to your door. Business cards, leaflets, adverts for magazines and newspapers, artwork for existing websites, pop up banners etc. High quality printing in a variety of finishes. GetSited is a web and graphic design company based near Birmingham in the West Midlands. 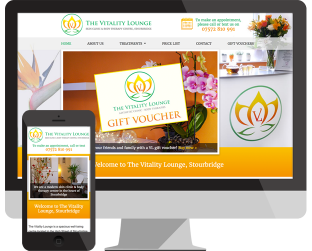 We offer bespoke website design, tailor-made to each client’s requirements, and specialise in content-managed ‘update it yourself’ websites with mobile-friendly web design. We can take care of every aspect of your website project so you won’t need to use multiple companies. We also offer graphic design for printed work such as leaflets, adverts, business cards, and more. We focus on delivering quality design that gets your company noticed and makes it stand out from the competition. Our websites are designed and built with best coding practices and attention to detail. We are enthusiastic about your ideas and go the extra mile to make your website a success. Being a small web design company we pride ourselves on being able to provide you with a personal service; the people you meet are the same people doing the work. This allows us to get to know you and what you want for your business, and what we can do to get the best out of your website or design project. 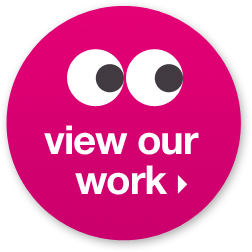 Take a look at our design services page, browse some of our work, and if you like what you see please get in touch and see what we can do for you! I cannot speak highly enough of the service provided by GetSited. I was dreading the process of developing a new website as I.T. is far from my best subject and I simply didn’t understand the jargon used by so many other website companies. Right from the beginning, it was a pleasure to deal with Elaine and she worked with real passion until the final result was just perfect! I would not hesitate to recommend GetSited. Had a bad experience with another Website Company (still ongoing!) wish i had come to Getsited in the first place. Great communication, efficient, friendly and a great product at the end. What Getsited promise you is what you get!! Would and will highly recommend to everybody. Thank you, you have put my Website back on in 4 weeks that another company could not do in over 5 Months. 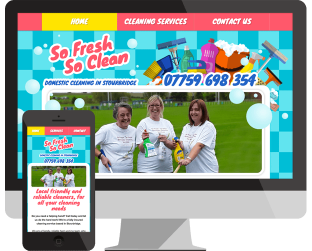 I found the experience of working with Elaine and Getsited to be a very positive one throughout the process of designing my website. It was very much a collaborative approach as suggestions and ideas were explored and tested. The process was not rushed and I was always kept up to date with progress. I thank Elaine for her patience. I would certainly recommend them.